The most important thing for any home is sufficient storage space. 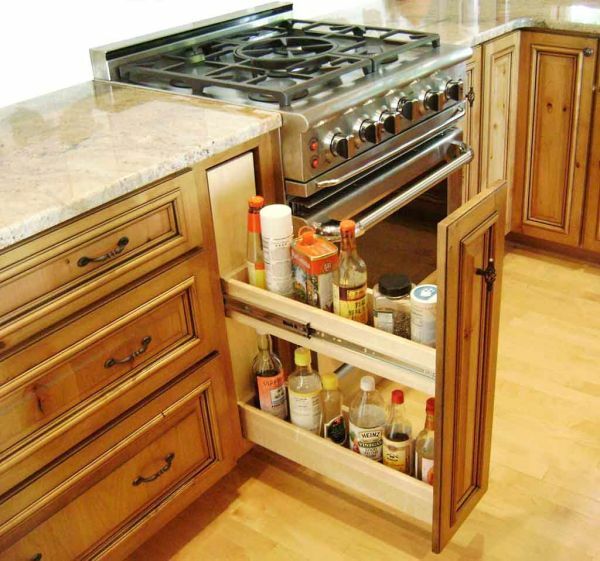 One requires plenty of storage space in the kitchen. At times, you may have sufficient space but you are not well organised. Every so often, you are well organised but space is truly a constraint. You need to strike a balance between these two factors. The ventilation in most kitchens is not appropriate making it dull and difficult to work. This makes being more organised more difficult. Too much clutter in the kitchen is also a common problem. Things that are not required daily are also crammed up in the kitchen. Once you have discarded the things that are not required check all that is left. Sort these things based on the frequency of use. Like if the most expensive dinner set will be out only on special occasions then it is better you keep it somewhere else rather than one of your kitchen cabinets. There may be small plates and bowls which can be placed inside containers with lids. This serves the dual purpose of saving space and also the plates and bowls don’t get dirty with the dust. Go in for multi-tier cabinets so that you can place several things together without actually messing up. You then don’t need to put the bowls on the plates which will make it difficult for you to just pick up the plates. When you have multi-tier containers you can place them in an organised manner in the same cabinet. Don’t just have cabinets. Have a few drawers as well where you can place spoons and small items which you can find easily. 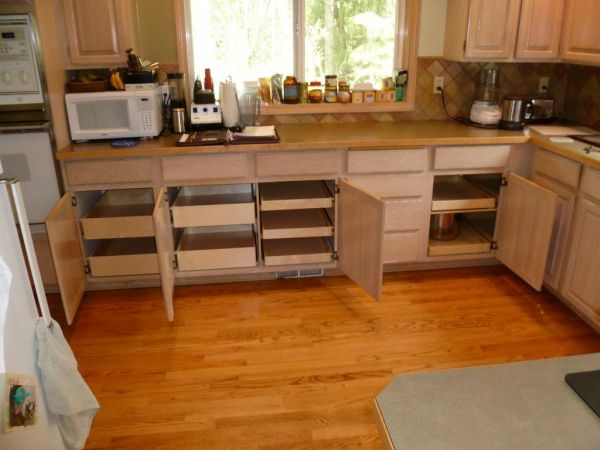 There is space on top of cabinets and cupboards. You can keep the items that you don’t need frequently in the space. Bulky boxes can also be placed here. Proper lighting can work like magic for any room including your kitchen. If you light up your kitchen in the best possible way not only will it look beautiful but also spacious. Install small racks on the outside surface of the cabinets which you can use to keep small containers like spice bottles etc. Install dish racks on the wall so that you don’t have to store the dishes in the cabinets. You can also have sliding drawers. 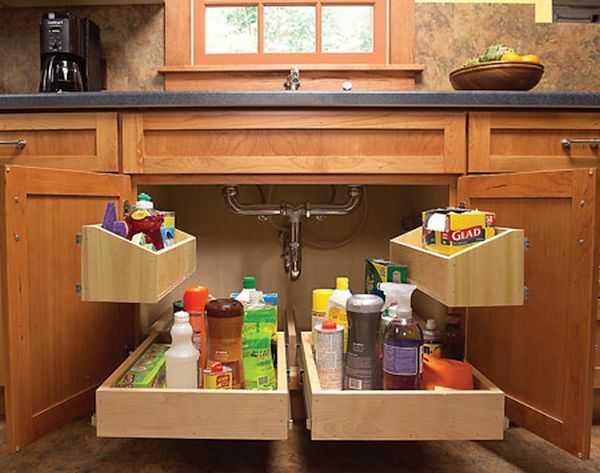 Small sliding drawers can be used for putting small container etc. You can have a large sliding drawer which can be used for storing multiple items right from dishes and vessels to food stuff. 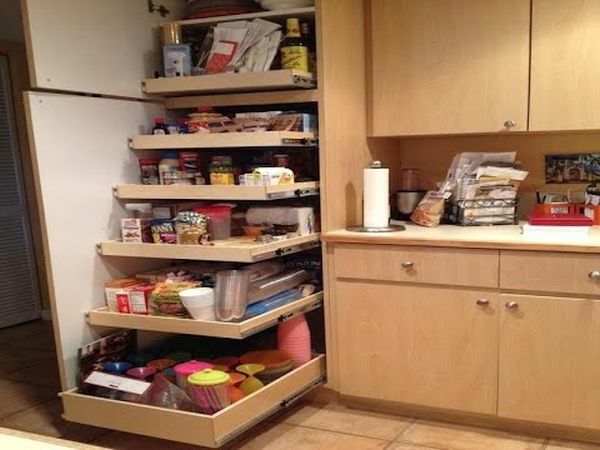 These days there are options like slide swings,rotation drawers etc which can be used in a smart way to stack things. You have to learn to manage space in the kitchen in a smart way. Use a little innovation and modern utilities to have a kitchen which has ample storage space and is well organised.